PUERTO ESCONDIDO, Oaxaca / Mexico (Saturday, Aug 13, 2011) - Jeff Hubbard (HAW) has won his second IBA Grand Slam event of the year, in massive 10-12 foot surf at Puerto Escondido, Mexico. Hubbard, took out Ryan Hardy (Margaret River/AUS) in the Final, to win the 2011 AGIT/Turbo Zicatela Pro, presented by Found Boards, ID Boards and Colorada Surf. Jeff Hubbard managed to defeat his brother Dave Hubbard (HAW) in the Quarter-finals, setting him up against an in-form Pierre-Louis Costes (Capbreton/FRA). Costes, picked off some incredible tube rides, but was unable to exit a particular one, that may have seen him through to the Final. Costes commented: "10-12 foot Puerto for a contest, it does not get any better! To have a competition in this, gets me so amped. I'm so proud to be a bodyboarder these days." 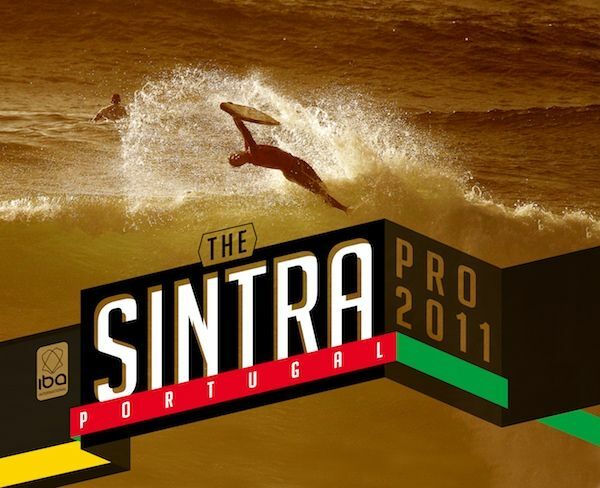 With Hardy disposing of Guilherme Tamega (Copacabana/BRA) in the Quarter-final and Mitch Rawlins (AUS) in the Semi-final, it was inevitable that the 2011 AGIT/Turbo Zicatela Pro Final was going to be a showdown of epic proportions. Both Hardy and Hubbard are equally capable in big surf and have each won an event on the 2011 Grand Slam Series. Hubbard proving his worth at home in Hawaii, taking out stop 1 of 8, the Pipeline Pro in February. Hardy took charge at the Box Pro in Western Australia, stop 2 of 8, not loosing a single heat throughout the event. Within minutes of the final commencing, Hubbard got busy with his usual high-flying maneuvers, launching the biggest air-reverse of the event. Unable to complete the move, however rewarded with a 5.0 points for his efforts, Hubbard continued his arial assault backing up his 5.0 with a 5.5, leaving Hardy in the lineup to answer back. Hardy had only accumulated a couple small scores, needing a 6.0 point ride to take the lead. Within moments of hearing his requirements via the beach commentary, Hardy scooped into good looking right hander, whipped a clean spin under the lip and finished off with a big roll, earning him a much needed 6.0 points and the lead. At this point, Hubbard had not caught a wave of consequence in almost 20 minutes and needed to improve on his 5.0 to regain the lead. As the heat grew to a close, the crowd on the beach grew restless with anticipation, knowing that either one of these bodyboarding icons, fighting for the title of AGIT/Turbo Zicatela Pro Champion, have the ability and drive to exit the water victorious. With only 3 minutes left, Hubbard managed to find a huge ramp, giving him one last opportunity to score big as he took to the skies with one of his well known invert airs. Launching well into the flats and completing it without fault, the judges rewarded him with an excellent score of 8.5 point, catapulting him into the lead. Hubbard commented: "It was really heavy out there. I was just blessed to be in the right spot a couple of times." Hubbard added, " This is my second win this year…this one is so important to me. Its been a dream of mine to win here in Puerto." Hardy was left in the line-up with priority at two minutes remaining, but was unable to improve on his situation. "The waves today were so big and perfect, its pretty much as big and good as a beach break can get. Jeff turned it up in the Final. I was just watching his airs from behind and hearing the hoots from the crowd, which were totally deserved." Hardy added, "He is a machine and a really good athlete." Hubbard was carried from waters edge to the podium by his brother Dave and the rest of the Hawaiian contingent, where he personally thanked the Zicatela lifeguards for their heroic efforts throughout the day. This final day of action was broadcast live on IBAwourldtour.com and redbull.com.